I can’t wait to tell you about our long weekend in Dublin. We had the best time! We’d never been to Dublin nor Ireland before, so we tried to strike the right balance of exploring but not overdoing it. We let ourselves do what we wanted to when we wanted to — we didn’t worry about what we should be doing. 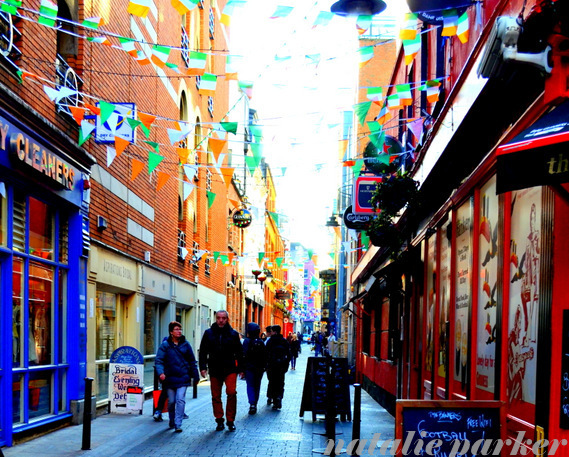 If you’re familiar with Dublin, you’ll see quite a few sights missing from the list below. We split our time between tourist attractions and just getting a feel of the city. We chose sleeping in over trying to cram our days. We were very lucky with the weather, but it was cloudy the day we were supposed to see the solar eclipse. Can’t win ’em all! Note: Keep an eye on this post, I’ll add links as I post more details for each thing. Aer Lingus Economy Class direct to/from SFO to DUB. We only do weekend trips where we can fly direct and Dublin was the cheapest of all European locations on the weekend we wanted to go. We learned that the lower prices came with fewer amenities than we’re used to in transatlantic economy. Next time, we’ll consider that when comparing prices. AirBNB: Benedikt’s 1-bedroom flat. Really happy with our choice to stay here. The location was top-notch and we were able to walk to most places. Despite being close to the action, it was quiet and we slept really well. We didn’t use the apartment for apartment-type things like eating in, but we couldn’t have gotten a better price on a hotel. The apartment is more lived-in in person than the pictures, but we were happy overall. Benedikt also gave us some great food and drink recommendations. Public Transit & AirLink Bus. We walked and used public transit exclusively. The hop-on-hop-off buses were very popular with tourists but we thought public transit was better and more fun. The AirLink Bus from the airport could not have been simpler and it was really popular! There was such great food in Dublin. We had a great time picking out places to eat. On top of that, we were impressed at how much cheaper it was than London. Our dollar went a lot further (not just because the euro is in the tank). The variety of cool watering holes was also awesome. Guinness is king, of course, but there were plenty of other local brews to try. We learned that “live music” can mean very different things and finding a bar to watch a sporting event is more difficult than one would assume. Over the coming weeks, I’ll write up a bunch of posts about all of this. You can refer back here because I’ll add links as posts go live. I’m excited to share it with you! Mr. P and I traveled to Dublin for a long weekend in March. Learn how to plan a trip to Europe for the weekend (even coming all the way from California) here. 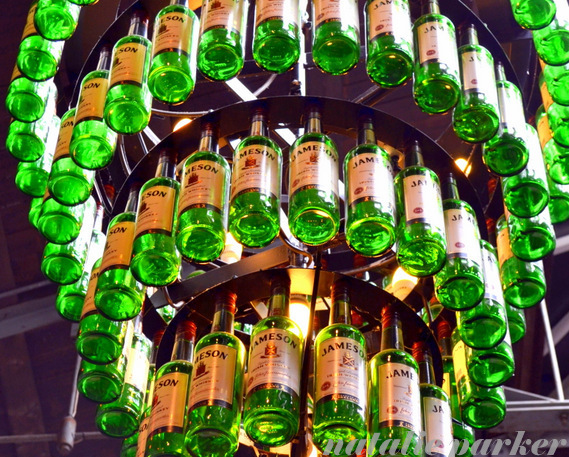 This entry was posted in Travel and tagged dublin, europe, guinness, ireland, jameson, travel, whiskey by Nat. Bookmark the permalink. Thanks for the awesome Dublin info, we’re going soon. Anything else to add, that you may have forgotten to jot down? Would you take snacks on the Aer Lingus flight, or a bottle of water? And you liked the “regular” public transit (buses) in lieu of “hop-on-hop-off”, right? Cheaper, or just more fun riding with the locals? Thanks again for the cool posts..